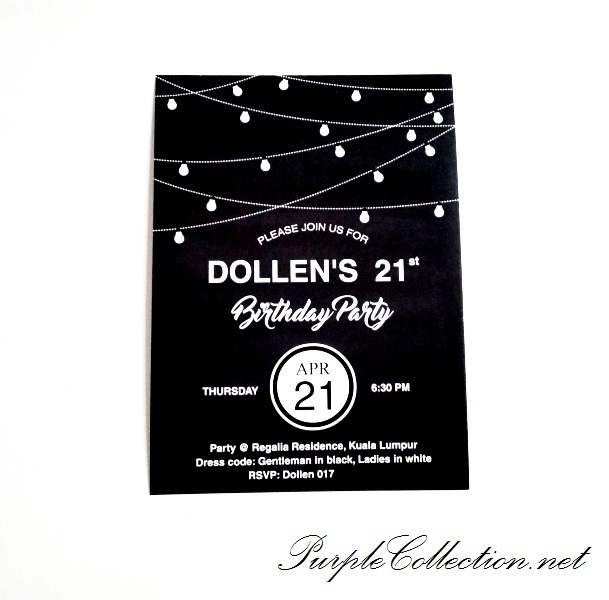 Dollen WhatsApp to us hoping to get her 21st birthday cards designed and to be ready before her party on 21st April. We came up with this design in two days time. The theme requested is black and white. Are you planning for your birthday party? Get us to design a birthday card for you. 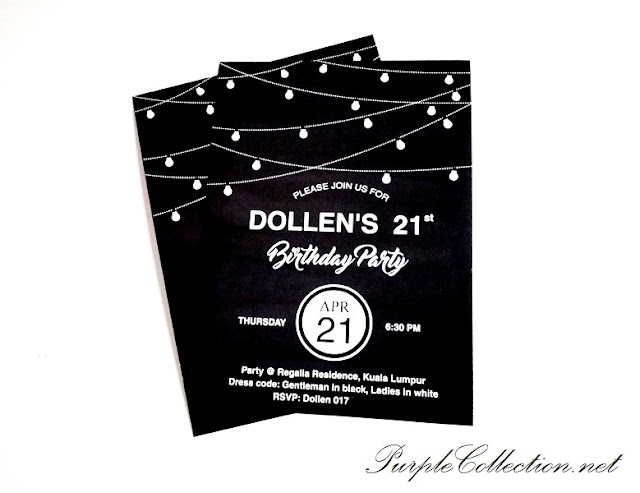 We design matching items such as cupcake toppers, sticker labels, food labels, etc for your party. Add ons such as ribbon, rhinestones, brown jute string, pearls, or lace are available on requests.